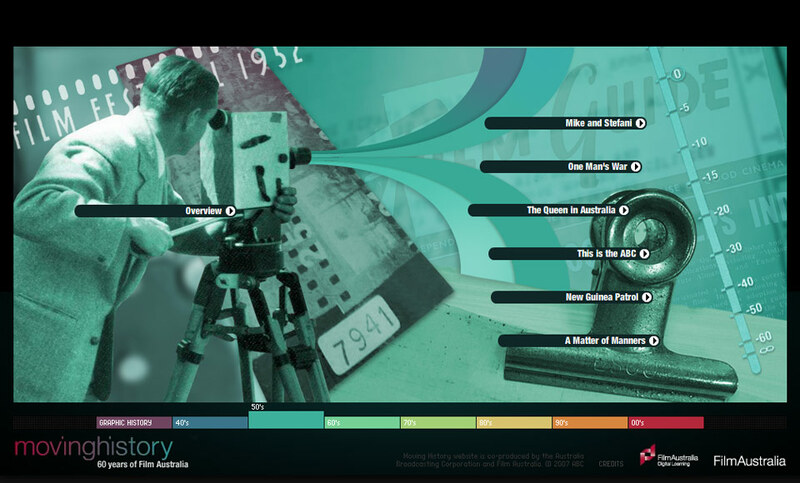 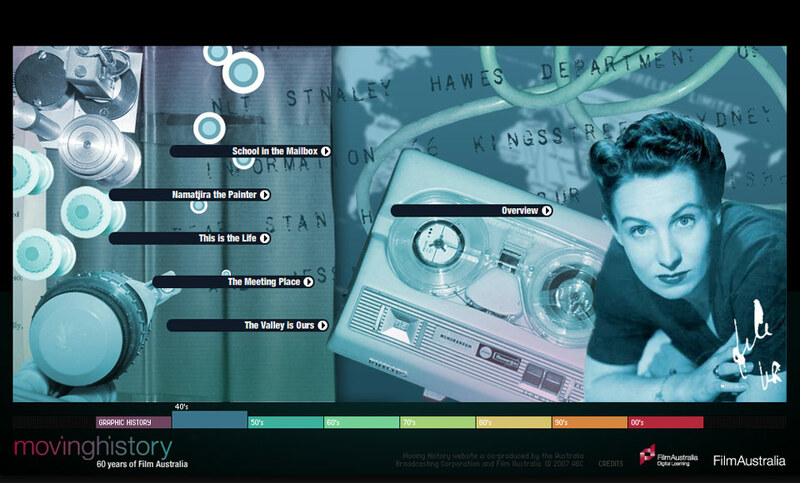 Moving History is an online portal from the ABC showcasing the last 60 years of Australian film. 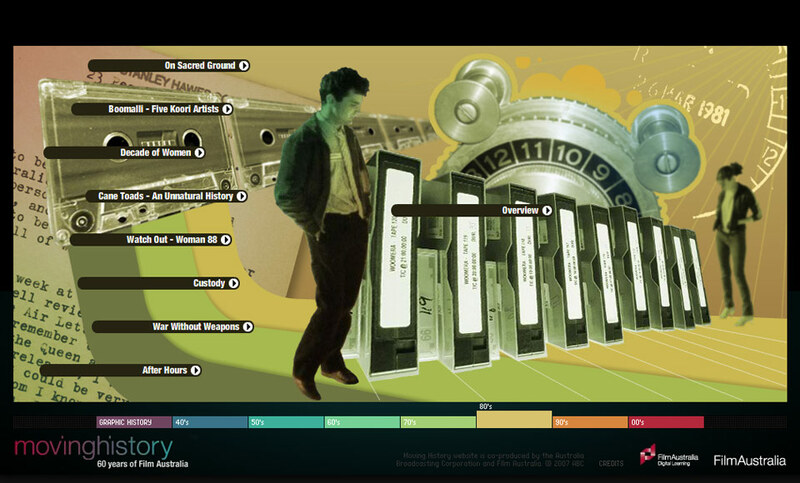 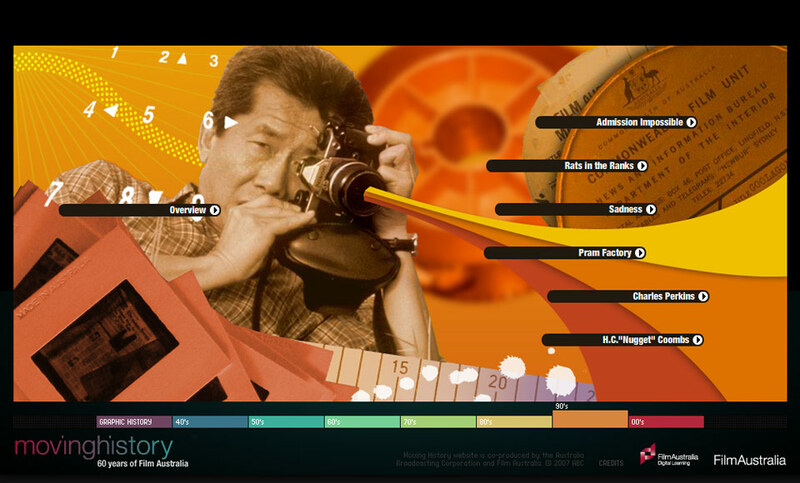 Our aim was to provide an engaging interface which highlighted the emerging trends in film throughout the decades. 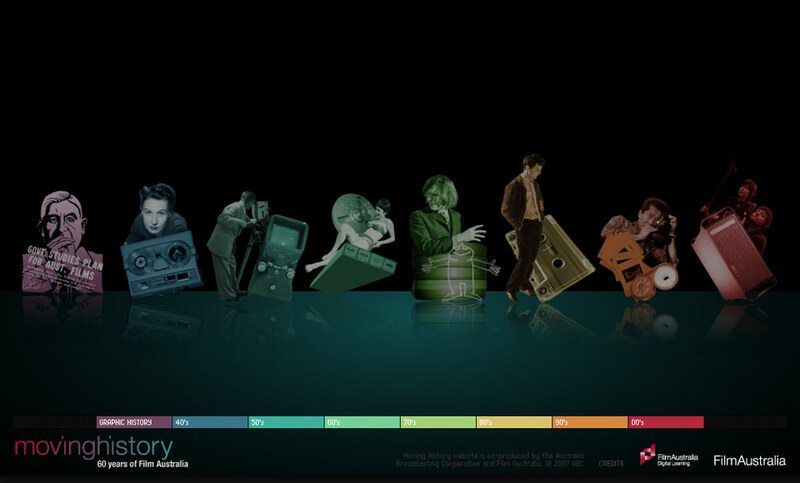 We had a huge amount of archive material to work with and we wanted each decade to reflect the depth of content for that particular era, whilst keeping the overall experience ‘timeless’.